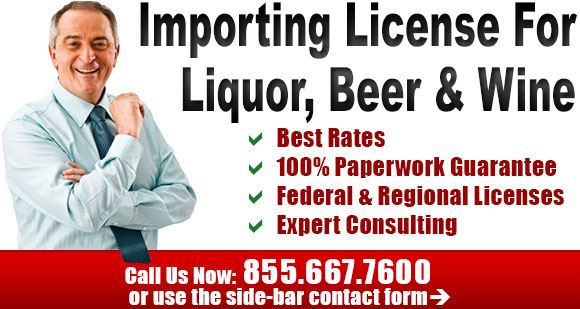 There are many requirements when it comes to importing any alcoholic drink into the US. 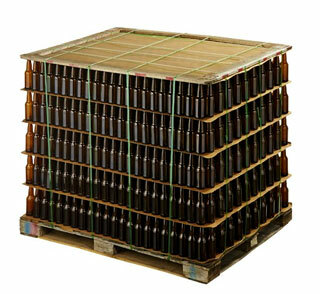 These requirements pertain to the importer as well as the product itself, be it wine, beer or hard liquor. We will go over general concepts and considerations for the importing process in the paragraphs below. In order to be able to import alcoholic drinks into the US you need a Permit from the Federal Government. To get your Permit you must file an Application For Basic Permit Under The Federal Alcohol Administration Act. The per-requisites for obtaining such a permit is for you to have a staffed office within the United States from which you will conduct your business. You must also have a contract with a licensed US importer. If not, pending on your specific situation and needs, you must obtain your own importer's permit. 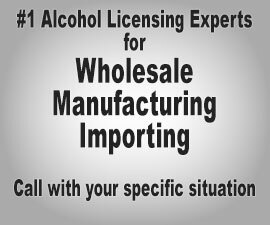 If you plan to wholesale alcoholic products, other than the ones you are importing, you may need a Wholesaler Permit from the Federal Government. Please note that, pending on the area you wish to conduct business in, a Wholesaler Permit (or License) may be required by your State EVEN IF you are only wholesaling the products you've imported. Call us with the specifics of your case. As an importer, you are responsible for all Federal excise taxes and duties that are applicable. Taxes for wines, beer and distilled spirits are collected by the CBP. You must be registered with both the CBP and TTB and fill out all pertinent forms before you start your business. We can help you with taxes as well as licensing. Call us with your specific situation. Once you have the Permit for importing your alcoholic drink, you must obtain a Certificate of Label Approval (COLA) for each product you are brining into the US. For example: if you are brining Wine X, Wine Y and Wine Z, then you must get 3 COLAs. To obtain the COLAs you must file an application with the TTB. This must be done before bringing in the product. It is important to note that as part of the COLA process, and depending on the product you are importing, you must obtain a pre-COLA product approval. As a business owner your time should be spent running your company not dealing with endless paperwork. The importing process can be complicated and sometimes frustrating. Rezzonator Services lets you focus on what matters most, operating your business, by taking care of your importing needs. Every importing situation is different so please call us to find out how we can make the process much easier and headache free. In order to import into the United States you'll need different permits and approvals, both on the State and Federal level. In most cases you will need a basic permit for this operation. The standard way of brining alcohol into the United States is via a container on a cargo ship. Taxes may also be due upon receiving your product in a U.S. port. We can also help you with the other licenses that are necessary in order to bring in the alcohol. As always we can help you choose the best course for your business. If you operate outside the U.S. you must contract an existing importer in the U.S. that is licensed. For more info on the Wholesaler License please click HERE. Remember that importing alcohol also involves the transportation to and from the ports of entry. Rezzonator has the necessary logistics to get you up and running fast.